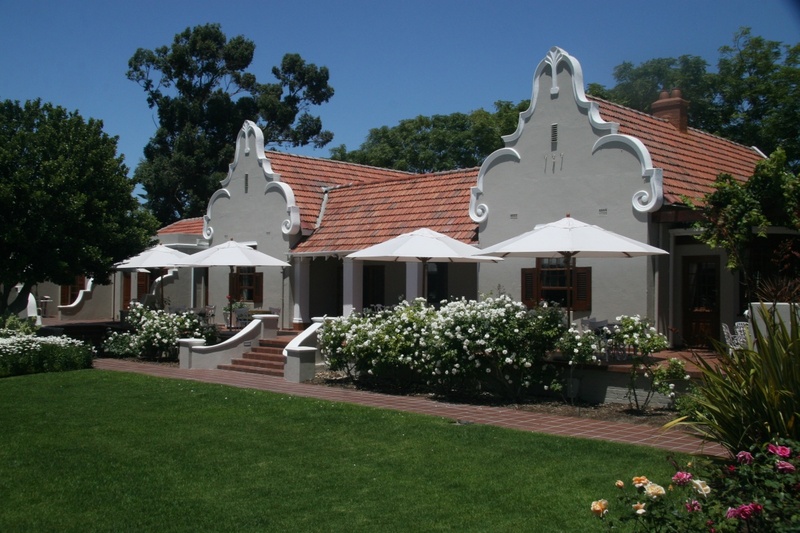 Glen Avon Lodge is a five-star boutique hotel in the tranquil Constantia Winelands, within easy access of all Cape Town’s tourist attractions and the M3 highway, and offering the discerning traveller hearty breakfasts, candlelit dinners and true Cape Town hospitality. Twenty en-suite bedrooms and suites, and a Family Cottage, provide many luxury amenities and wi-fi connection, and lead out onto private patios overlooking rolling lawns and exquisite gardens with an eleven-meter salt water pool. There's currently no specials at Glen Avon Lodge. Glen Avon hosts conferences and special events in a prime part of the southern suburbs of Cape Town. The Gables is an open-plan facility accommodating up to 50 people for conferences, weddings, baby showers, private dinners and celebrations. The venue is set in a serene space and has a beautiful outdoor patio and garden. The facility can be variously configured to meet requirements, and the hotel undertakes co-ordination of the various details of events, such as flowers, menus, wines, celebratory cakes and table decor.